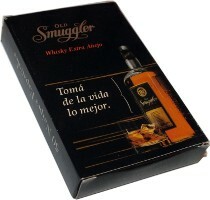 Naipes La Española - Gráfica 2001 is owned today by the original Naipes Vigor founder's son. 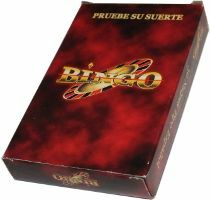 Located in the district of San Martín, Buenos Aires, it is now one of Argentina's leading playing card manufacturers, exporting to several other South American countries. They also hold the licence for Cromy card games. 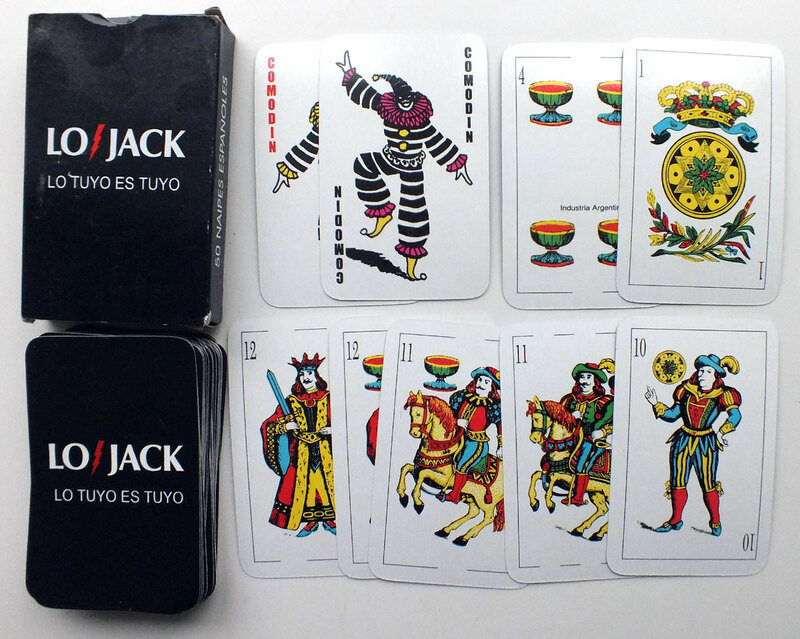 Updated versions of original brands (La Española, Barcelonesa, Fantasio) are still being produced. 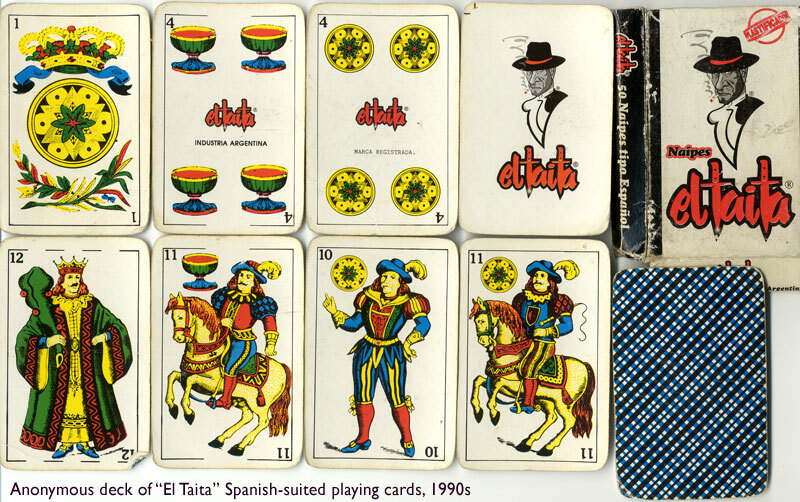 Both classic Spanish-suited packs (Español Classic and Barcelonesa) and digitally re-drawn designs (La Española 2000), as well as Naipes El Taita, Naipes Fantasio, Naipes Aparcero, La Italiana (an Italian-style pack based on the Napolitan pattern) and other games are all available in several sizes (standard, round, small and pocket sizes), printed on single-thickness or three-ply card and finished with ultra-violet, silicone-based varnish on both sides for perfect sliding. Plastic or cardboard cases. 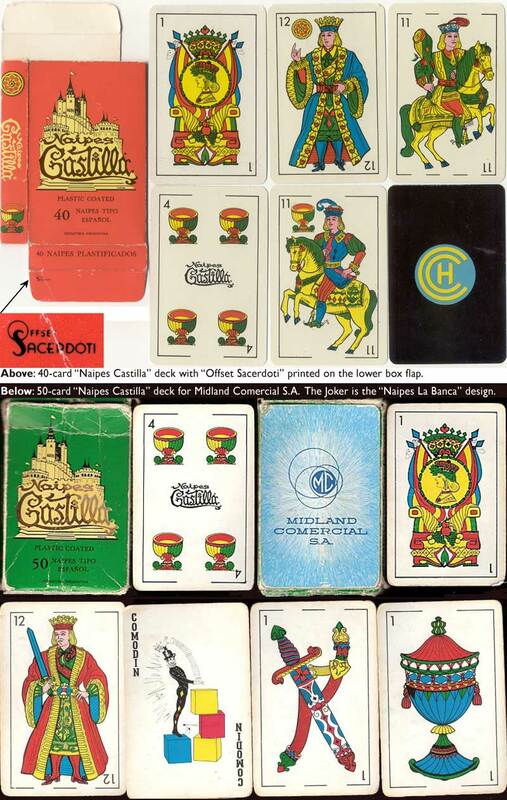 Above: four cards from Barcelonesa deck with traditional Spanish-suited designs which is the same as the above example except with a different logo on the Fours of Coins and Cups and Jokers, based on a brand originally published during the 1950s. 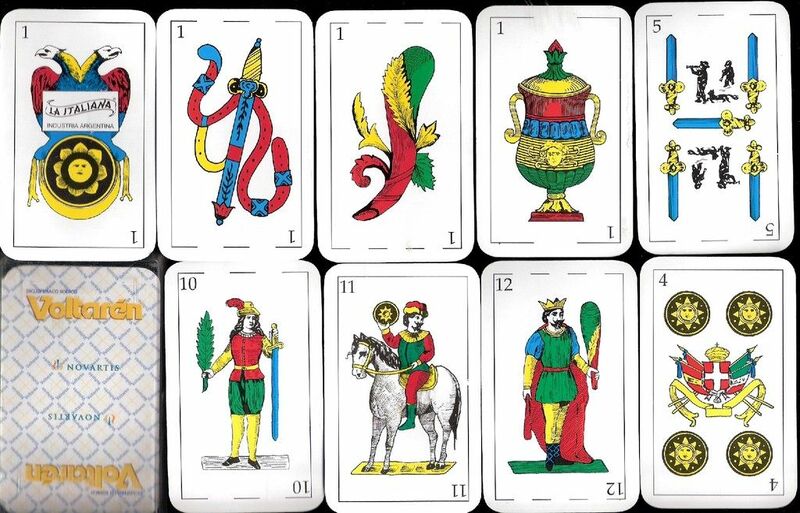 It is found in 40 or 50-card versions. 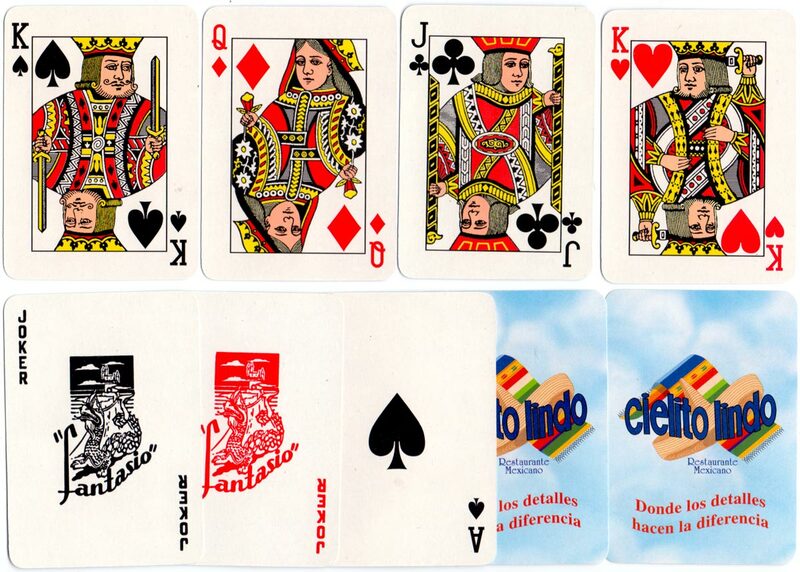 Above: four cards from La Italiana deck manufactured by Gráfica 2001 based on Italian Napolitan pattern. Above: Naipes de Truco for Editorial Perfil, Buenos Aires, 1999. 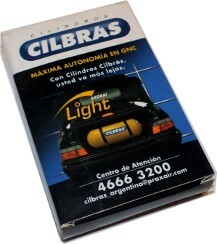 An early example of a digitally-designed pack. Above: Naipes Fastener, a non-standard deck manufactured by Gráfica 2001 for Fastener S.R.L. Above: Naipes Cilbrás, a non-standard deck for Cilbrás high-pressure cylinders. 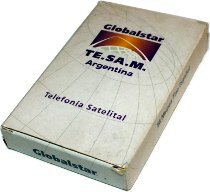 Above: special promotion deck for Globalstar Satellite Systems.